Learning is more fun when the topic you’re studying is relevant. We know that most people usually don’t think about where their water comes from or goes to. Even if you’re interested, the water cycle is a complex system and can be difficult to understand. Hands-on activities that demonstrate simple parts of the water cycle make it fun and easy to learn how it impacts our drinking water and rivers, regardless of your background. In April, we teamed up with the Pittsburgh Water & Sewer Authority, Green Mountain Energy, New Sun Rising, and Work Hard Pittsburgh to provide a Stormwater Workshop as part of our ongoing Sustainability Fair event series. The workshop took place in Pittsburgh’s Allentown community and was open to local residents and youth, including students from the Allentown Learning & Engagement Center. The workshop was captured by local filmmaker Ryan Haggerty of Haggerty Media. In addition to water management, the team at DECO Resources is committed to helping you connect with sustainable solutions in other areas, like renewable energy, healthful food, and access to information and communications. In order to demonstrate these principles, we are teaming up with the Gardens of Millvale and Meta Mesh Wireless Communities. Working with our partners at SEED Aquaponics, we are developing more efficient and affordable aquaponics systems that grow fresh food using water and fish. 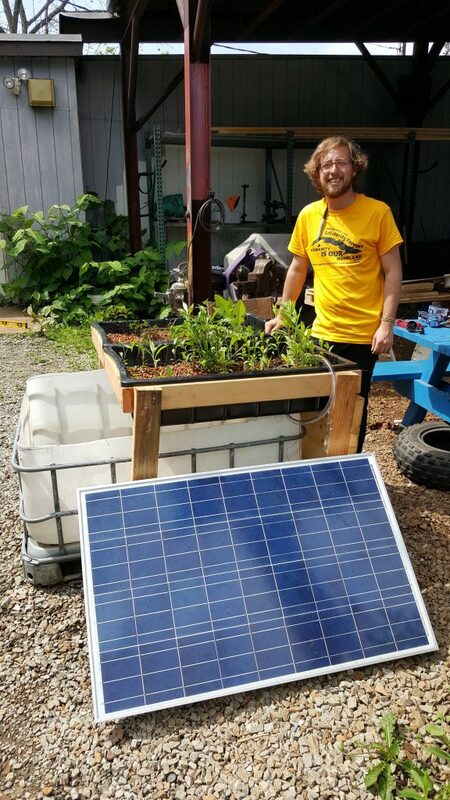 On Saturday, May 21, we will be installing our newest aquaponics system at the Gardens of Millvale that will be powered entirely by solar energy and will recycle and treat stormwater. 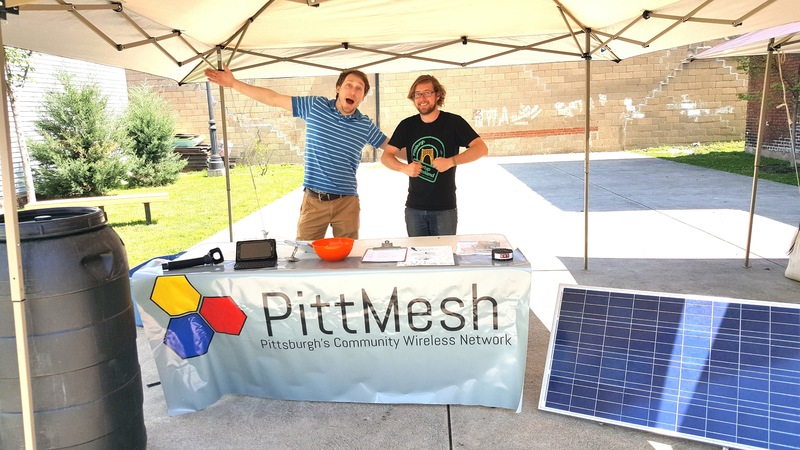 Additionally, it will power a PittMesh node, developed by Meta Mesh to provide free WiFi in Millvale. Visit our unique system to see how it works and contact us for more information.